Pinterest is a big scrapbook/collage website. Instead of right click and saving images (or pages) users can "pin" (save) them to accounts and sort them in to virtual "boards" (photo albums). Think of it as a google images personally organized by you. Right clicking on your name in the top right pops open this drop down menu. Its pretty self-explanatory. I have two boards - for SALE by ME, where I pin all my listings as I create them and Pimping my Peeps where I pin stuff from my pinterest exchange group (more on that below). This is what the daily thread on that pinterest group I adore looks like. Every day there is a new thread where users post up to 10 of their for sale links. 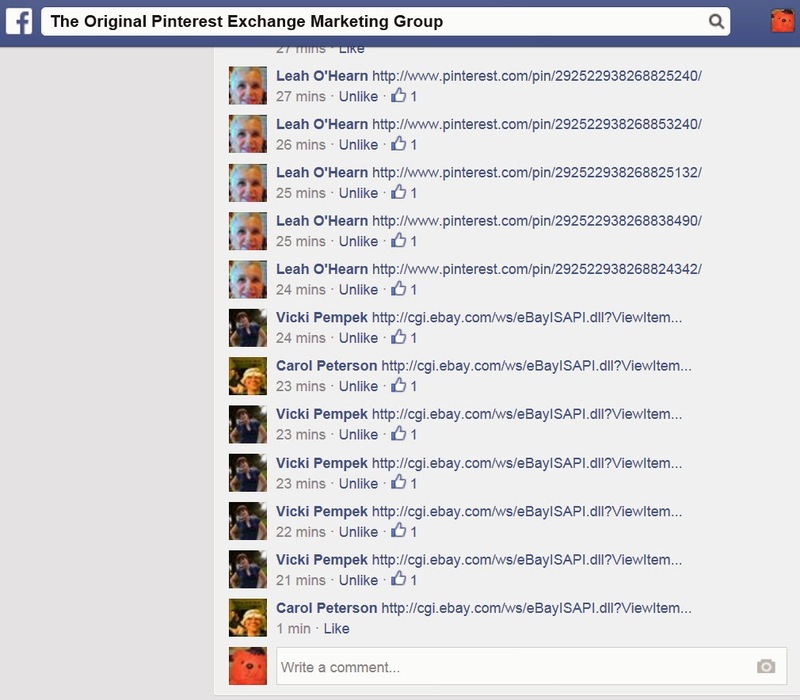 Other users "pin" their stuff and then "like" the post on Facebook to indicate its been pinned. Users have to pin twice as many "things" as they post so if I only wanted to link to two of my auctions I only need to pin four others. Pinning from the Pinterest site is easy. See the "Pin it" in bright red on the top left? Click that. On eBay click the "P" below the item name and right next to the watch list link. Easy peasy. Some people sell on weird sites or are pinning oddage. For that you need to install the Pinterest button into your toolbar. See the red "P" on the top right of my toolbar? Click that. 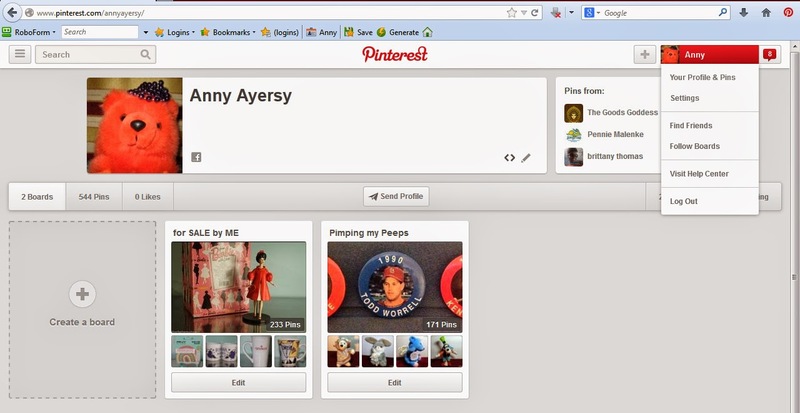 When you pin something new it will default to throwing it into the board you last saved to. Changing it is a simple pull down. So that's how you pin. Pinning has drastically improved my sales. I guess a lot of browsers (especially from overseas) will search Pinterest for stuff like "grey levis jacket" and find themselves on an e-commerce website without meaning to. Also getting multiple views on an item from different parts of the world will give eBay listings a temporary boost in search. Before pinning my sales weren't that great. When the group was closed and regrouping last week I didn't have a single sale. It takes me about 15 minutes each morning to pick my pinnables and repin others and really pays off in the end.